The Chicago Tribune is upset again this morning about Cook County judges. In a front page article, "Defeated judges find way back to bench," reporters Jeff Coen and Todd Lighty grouse that the Illinois Supreme Court "kept seven politically connected judges on the Cook County bench after they were rejected by voters, a common practice the high court had pledged to curtail." [A] Supreme Court spokesman told the Tribune that justices privately decided months ago they will no longer use their "recall" power to keep judges on the bench after they lose an election. The Supreme Court has not violated this pledge, the insinuations of the Tribune notwithstanding. The Illinois Supreme Court has the power, under two different provisions of Article VI of the 1970 Illinois Constitution, to both appoint persons to judicial vacancies as they occur and to recall retired judges to service. It was the Court's use of the recall power two decades ago that gave rise to the controversy. And when all the smoke was blown away, the fuss over the Court's alleged misuse of the recall power in the early 90s swirled largely around the recall of a single judge, the late Angelo Mistretta, who was defeated in the 1990 retention election -- a straight up and down vote on whether he should be retained in office. Mistretta's 1990 retention bid was opposed by both the Chicago Bar Association and the Chicago Council of Lawyers. The Council was so upset by Mistretta's recall to judicial service that it threatened to sue. William Grady's November 19, 1992 article for the Chicago Tribune noted that 10 of 27 judges recalled to the bench that month "would have been forced to step down after losing contested primaries last March." But Grady's article acknowledged that this group "includes some highly regarded judges who were defeated in the primary," although two of these (other than Judge Mistretta) had "received negative evaluations from the reform-minded Chicago Council of Lawyers before the primary." The distinction between a judge thrown off the bench by the voters in a retention election and a qualified judge unable to prevail in a hotly contested, multi-candidate primary (sometimes including a candidate with a 'good ballot name' and, perhaps, in the estimation of the bar association evaluators, not much else by way of qualification for the bench) ought to be obvious, even to the Tribune. Until Maddux v. Blagojevich, 233 Ill.2d 508, 911 N.E.2d 979 (2009), the Illinois Supreme Court regularly used its recall power to both keep some judges in office past the mandatory retirement age of 75 and to bring back some appointed judges who'd been unsuccessful in their primary runs. After the mandatory judicial retirement statute was invalidated in Maddux, the principal use of the recall power was to keep disappointed candidates in judicial office. The Chicago Council of Lawyers was particularly vocal in criticizing this use of the recall power. In August 2011, after the Supreme Court had already agreed to no longer recall candidates who lost their primary races, this blog defended the Court's just-abandoned procedure. Thereafter, upon reflection, even the Chicago Council of Lawyers somewhat moderated its stance, stating, "The council supports the appointment of quality judges to the bench with appropriate safeguards against political influence." Isn't that the objective? Shouldn't the concern be whether the Supreme Court is appointing (or reappointing) judges to the bench who are capable and qualified to serve? In the case of the seven judges who 'found their way back to the bench' after losing their primary races (whether in 2012 or 2008), all were rated qualified or recommended by every one of the evaluating bar groups in their respective primary races with the sole exception of Judge Daniel L. Peters -- and he was deemed qualified by the Chicago Bar Association, the Illinois State Bar Association, the Women's Bar Association of Illinois and all of the other Alliance bar groups with the sole exception of the Chicago Council of Lawyers. With nothing to complain about in terms of the competence of the judges reappointed by the Illinois Supreme Court, the Tribune resorted to sneering that many of these individuals had actually donated money to the Democratic Party. In our current local political environment, where the Democratic Party is so overwhelmingly dominant, a lawyer who is politically active will almost by necessity be active in the Democratic Party. A lawyer or judge who is fortunate enough to obtain slating by the Cook County Democratic Party is expected to make a significant contribution to the party coffers. This is not some sort of bribe; it is a contribution made in order to offset the cost of the mailings that the party will make on the candidate's behalf. These mailings reach every likely voter in the Democratic Primary. In a county as big -- and as blue -- as the County of Cook, having one's name and picture on that mailing can constitute a substantial advantage, and probably well worth the investment. When reinforced on Primary Election Day by the palm cards distributed by precinct workers for each of the county's ward and township organizations, the advantage conferred by party slating may be decisive. Of course... sometimes the party's endorsement is not adhered to by particular wards or townships and the investment is unsuccessful. But what serious judicial candidate would forgo the opportunity to be slated by the Cook County Democratic Party, if that was a real possibility? Yes, I understand: The Tribune is not in favor of electing judges. Neither is the Council. Most (though not all) of the bar associations endorse merit selection of judges instead of our current electoral system. But this is the system we have now, even though the Tribune is unhappy about it. Is there room for improvement in the Supreme Court's appointment process? The Council has advocated for a more transparent judicial appointment process in Cook County. Downstate, when judicial vacancies occur, the Supreme Court justice whose district includes the area where the vacancy occurs will appoint a committee to consider applicants for the vacancy and even publish the names of all applicants, soliciting public comment about the applicants. But there are many more judges in Cook County than in Downstate circuits and, accordingly, more frequent vacancies. Appointing a new committee and separately and publicly considering applicants each time a vacancy occurs may not be appropriate or efficient. But each of the three Supreme Court justices elected from Cook County has a committee of some sort to assist in reviewing applicants for appointment. There are always more applicants than openings. Could this process be made improved? That's an easy one. There is room for improvement in every human endeavor, newspaper reporting included. Case in point: The Tribune does a disservice today to the Supreme Court, to the judges singled out, and to its readers by inventing a controversy where none really exists. The American Tort Reform Foundation released its annual list of Judicial Hellholes (you can access and download the entire report from that site). However, Cook County, Illinois is among those jurisdictions placed on ATRF's Judicial Hellhole "Watchlist." ATRF is affiliated with the American Tort Reform Association. ATRA bills itself as "the only national organization exclusively dedicated to reforming the civil justice system," boasting a "nationwide network of state-based liability reform coalitions backed by 135,000 grassroots supporters [and an] unparalleled track record of legislative success." ATRF has declared Cook County a "Judicial Hellhole" before but, this year, "Cook County fell from its more typical perch... because the winds of litigation have stayed relatively calm in Chicago." But that does not mean that ATRF or ATRA hold the Cook County Circuit Court in any higher esteem. ATRF says our courts have not "improved in any significant way. In fact, when the U.S. Chamber Institute for Legal Reform recently asked lawyers representing major employers which cities or counties had the least fair and reasonable litigation environments, Chicago/Cook County was the most frequently cited." The Law Division's Pilot Project for simultaneous exchange of retained 213(f)(3) experts in some cases (General Administrative Orders 11-2 and 11-3) was singled out for harsh criticism. According to the Judicial Hellholes report (p. 26), "Defense lawyers point out that under the 'simultaneous disclosure' program, they may need to hire experts they do not even need, since what is in dispute may not be clear. And they fear they could hurt their clients by addressing issues plaintiffs never thought to raise." ATRF was also critical of the recent retention election. The report focused on a handful of judges, including one who was suspended from judicial service at the time of the retention election (and remains suspended) pending the resolution of criminal charges against her. "The Cook County Circuit Court needs to get its house in order," ATRF writes, also mentioning the case against non-judicial employee accused of shredding court files at her kitchen table. Not mentioned in the ATRF report was the fact that the vast majority of judges on the November retention ballot were unanimously recommended for retention by all the many bar groups considering their credentials. On what it said was the positive side, ATRF noted that a couple of large jury verdicts were reversed on appeal this year and that the fraud suits against the local law schools were thrown out. With regard to the law school suits, ATRF said (p. 26), "Come on, kids, stop your whining and grow up. If you were smart enough to do well on the LSAT, you should have been smart enough to glance at a newspaper or legal journal occasionally. If you had, you’d know law firms have been downsizing for years." Members of ATRA include AEGIS Insurance Services, Advance Medical Technology Association, Altria Client Services, ASFE, the American Association of Orthopaedic Surgeons, the American College of Obstetricians & Gynecologists, the American Institute of Architects, the American Insurance Association, the American Legislative Exchange Council, the American Medical Association, American Suzuki Motor Company, American Trucking Associations, Associated Wire Rope Fabricators, Bayer Pharmaceutical Corporation, CNA Financial Corporation, CSX Corporation, Caterpillar, Chrysler Group, Coca-Cola Bottlers’ Association, Cybex International, Doctors' Company, Eli Lilly and Company, Farmers Insurance, Ford Motor Company, Emerson Electric Company, ExxonMobil, General Electric, Great American Insurance Companies, Hyundai Motor America, Johnson & Johnson, Koch Industries, Inc., Medical Mutual, Merck & Company, MetLife, Motor & Equipment Manufacturers Association, the National Association of Home Builders, the National Federation of Independent Business, the National Fuel Gas Distribution, Nationwide, Pfizer, Pharmaceutical Research and Manufacturers of America, Physician Insurers Association of America, PPG Industries, Preferred Physician Medical, Prudential Insurance Company of America, SeamCraft, Inc., Shell Oil Company, State Farm, Taussig Corporation, and Unimin Corporation. 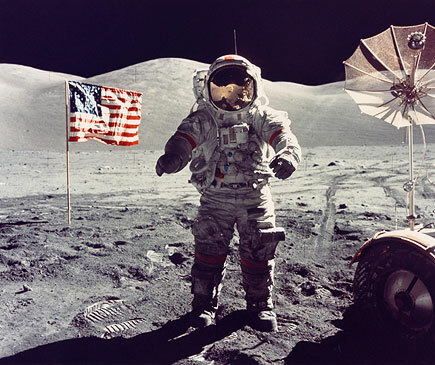 At 5:55 p.m. EST on December 14, 1972, Captain Eugene A. Cernan, USN, and Dr. Harrison Schmitt, a professional geologist, blasted off from the lunar surface in the ascent stage of the Lunar Module Challenger. [A]s I take man's last step from the surface, back home for some time to come - but we believe not too long into the future - I'd like to just (say) what I believe history will record. That America's challenge of today has forged man's destiny of tomorrow. And, as we leave the Moon at Taurus-Littrow, we leave as we came and, God willing, as we shall return, with peace and hope for all mankind. "Godspeed the crew of Apollo 17." Not for too long? As of today, it's 40 years and counting. When can we hope to start moving toward the future again? In separate orders entered today, the Illinois Supreme Court appointed Lauretta Higgins Wolfson and Gregory Emmett Ahern to vacancies on the Cook County Circuit Court. Judge Wolfson was originally appointed to the bench in 2006. 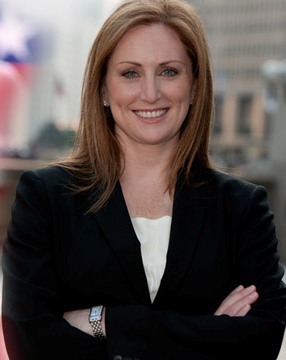 Although slated by the Cook County Democratic Party in 2008, Wolfson was unsuccessful in her bid to be elected to a countywide vacancy. More recently, Judge Wolfson served pursuant to a recall assignment. The recall assignment expired last week. Judge Wolfson's new appointment, to the Iasco vacancy in the 13th Judicial Subcircuit, begins January 3, 2013 and runs through December 1, 2014. Gregory Emmett Ahern was a candidate earlier this year for the vacancy in the 6th Judicial Subcircuit. Ahern, currently an Assistant States Attorney, was appointed to the countywide vacancy created by the election of Justice P. Scott Neville to the Appellate Court. His appointment is also effective January 3, 2013 and runs through December 1, 2014. Cook County Circuit Court Judge Michael B. Hyman has been assigned to the Illinois Appellate Court effective January 8, 2013 according to an order entered yesterday by the Illinois Supreme Court. Currently assigned to the Chancery Division of the Circuit Court, Judge Hyman was first elected to the bench in 2008. Hyman is the long-serving editor of the CBA Record and a former President of the Chicago Bar Association. In addition to his monthly column in the Record, Judge Hyman has written extensively for a number of ABA publications and, recently, for the Chicago Daily Law Bulletin. Six of the 24 justices of the First District of the Appellate Court are Cook County Circuit judges serving by assignment. Judge Hyman will fill the spot previously occupied by Nathaniel J. Howse, Jr. Justice Howse had been serving on the Appellate Court by assignment since 2009 but was elected to the court this year. Updated, corrected and link fixed. Three Cook County Circuit Court judges whose current appointments were about to expire received new appointments from the Illinois Supreme Court in orders entered Friday, November 30. Judge Kenneth L. Fletcher has been appointed to a 10th Subcircuit vacancy created by the retirement of Judge Susan J. McDunn. Judge Fletcher was originally appointed to the Pucinski vacancy in the 10th Subcircuit and was an unsuccessful candidate for that seat in the 2008 primary. He was subsequently recalled to judicial service by the Supreme Court, most recently in 2009. Judge Caroline K. Moreland was appointed to the countywide vacancy created by the elevation of Judge Nathaniel R. Howse, Jr. to the Appellate Court. 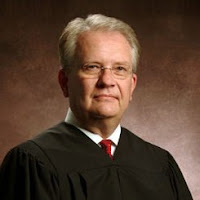 Judge Moreland was first appointed to the bench in 2010, filling a vacancy created by the retirement of Judge Victoria Stewart. After the Democratic Party slated Judge Pamela M. Leeming for this vacancy, Judge Moreland filed for the Stralka vacancy for the March 2012 primary. She later withdrew from that race. The Illinois Supreme Court also appointed Judge Peter J. Vilkelis to the vacancy created by the elevation of Judge Maureen E. Connors to the Appellate Court. Initially appointed to the countywide O'Brien vacancy in 2011, Judge Vilkelis was unsuccessful in his bid to win the countywide Ward vacancy in the March 2012 primary. Each of these appointments are effective December 3. Judge Fletcher's appointment runs only through December 31, 2012. The appointments of Judge Moreland and Judge Vilkelis expire December 1, 2014.